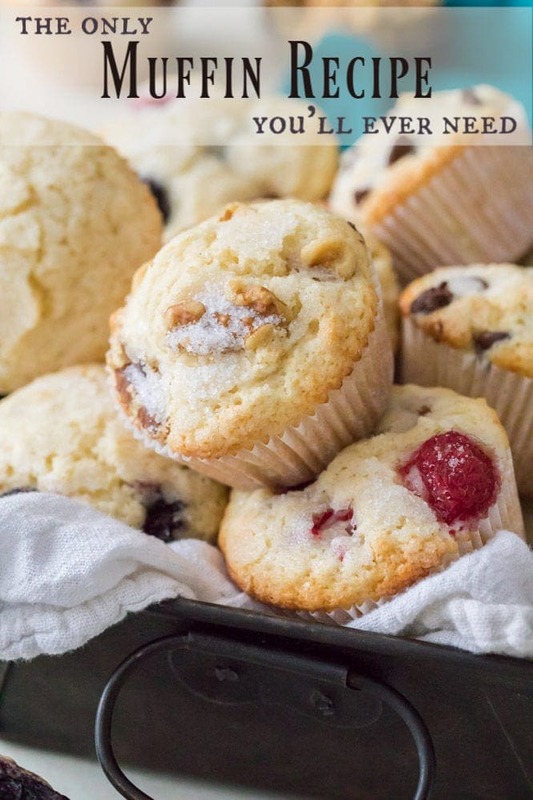 This Basic Muffin Recipe is the starting point for perfect soft & fluffy bakery-style muffins. 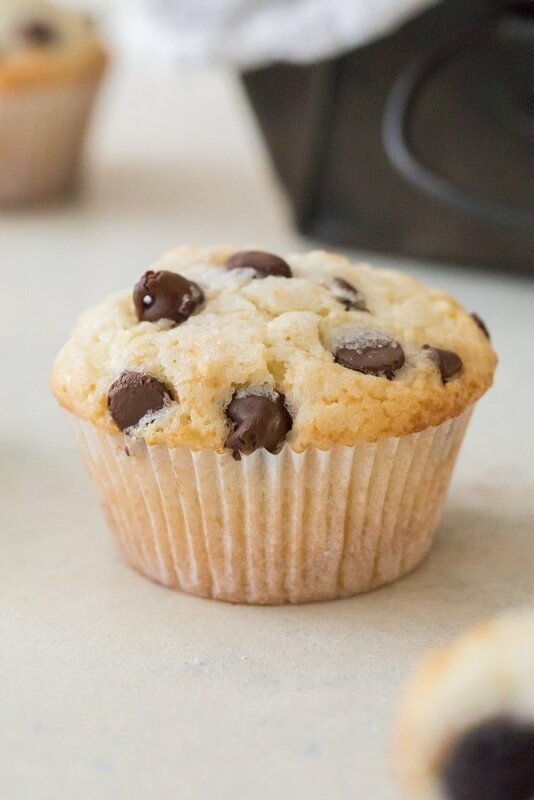 Serve them as plain vanilla muffins with no add-ins or stir in your favorite mix-ins (I vote chocolate chips!). 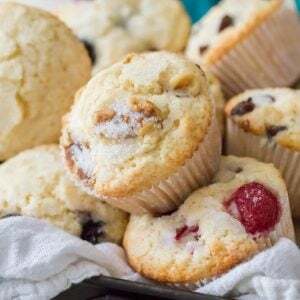 This recipe is the base that I’ve used for so many of my favorite muffin recipes, including my blueberry muffins, chocolate chip muffins, and oatmeal muffins. Be sure to check out my how-to video at the bottom of the post! Those of you who have been following along with the blog for some time now (<3 you!) have probably figured this muffin recipe out already. In fact, it’s really nothing new, I’ve shared it on the blog at least half a dozen times by this point, in one variation or another. But, it’s never been shared by itself before as the true perfect basic muffin starting point that it really is. And, every day I get e-mails asking me if you can add this or that to one of my muffin recipes, and how much to add, and so on. While I love getting emails, I’m going to have to admit that I’m falling slightly behind on my inbox right now and I thought having a staple stand-alone muffin recipe might just make things easier for all of us. 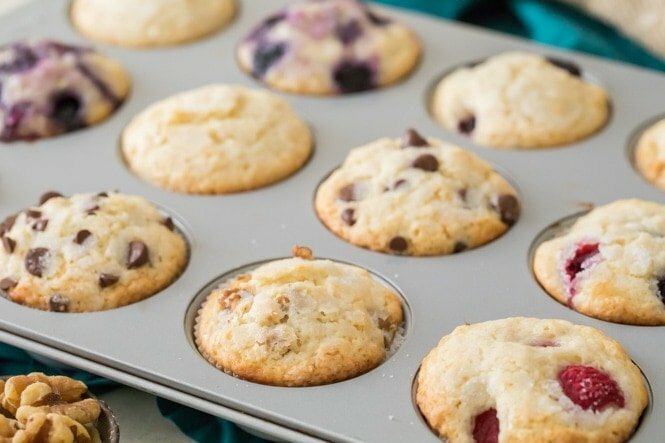 If you’ve tried some of my other muffin recipes, you’ll recognize a lot of these tips! Incorrectly measuring your flour is one of the easiest way to go wrong when baking. To measure properly using cups, never scoop your flour directly into your measuring cup. Doing so will usually result in packing the flour into the cup, giving you more (sometimes much more) than you actually need, and often resulting in dry, too-dense muffins. Instead, stir your flour in its container and then lightly spoon it into your measuring cup, slightly over-filling before leveling the cup off with the back of a knife. Even better, get a kitchen scale (this is the one I use, inexpensive and accurate, affiliate link) to guarantee you are always measuring all of your ingredients correctly. Weighing all of my ingredients has been a game changer in the kitchen, and it actually cuts back on washing dishes — I never have to wash measuring cups anymore! This is a big one! 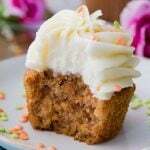 I’ve warned about the dangers of over-mixing in my buttermilk pancakes and my vanilla cake recipe, but it’s just as important in this muffin recipe. Stir your ingredients too much and you’ll end up with dense, dry muffins. 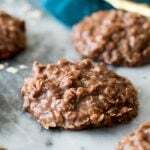 Instead, use a spoon or spatula (never an electric mixer) to gently fold together your wet and dry ingredients. If you’re adding any add-ins, toss them into the batter once the wet and dry ingredients are about half-way combined (to avoid running the risk of over-mixing and continuing to stir after you’ve incorporated your ingredients). A few flour streaks in your batter is A-OK. Even a minute or two too long in the oven can dry out your muffins. Always start with just a little less baking time than you think you need (just in case your oven is running too hot!). You can always add another minute or two to the end. 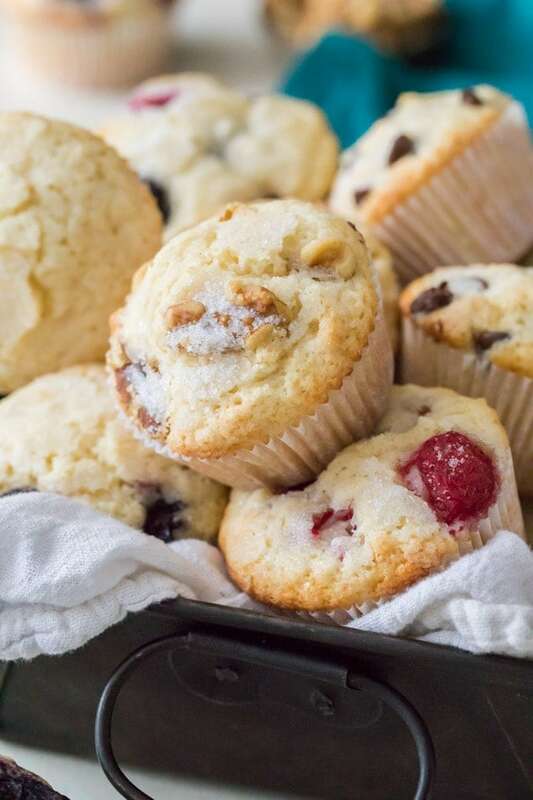 We start by baking this muffin recipe in a very hot oven to help give them a nice rise and then drop the temperature to complete the baking process without drying out our muffins. We’ll start with a hot, 425F oven (make sure it’s completely preheated!) and then after a few minutes we drop that temperature to 350F without opening the oven door to complete the baking process. 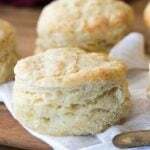 This gives us tall muffin tops with soft, fluffy centers. I learned this trick for using two temperatures years ago and it’s made all the difference in my muffin recipes! 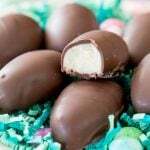 Chocolate chips or a chopped chocolate bar, or white chocolate, or caramel chips! These add-ins are a great starting point, but feel free to use your own favorites (and let me know what you use!). Also keep in mind that this muffin recipe is specifically designed to mix in add-ins that won’t change the base muffin recipe itself. If you’re looking to do something a bit more radical, like add bananas or make the base chocolate, I recommend you check out my banana muffins or double chocolate muffins instead. Enjoy (and tell me what you’re putting in your muffins!!)! Be sure to check out my muffin recipe video at the bottom of the recipe! 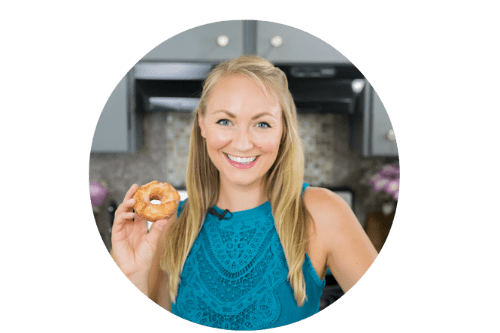 If you enjoy watching, make sure to subscribe to my YouTube channel where I’ve already uploaded over 100 recipe videos that you can watch for free! The BEST Basic Muffin Recipe! 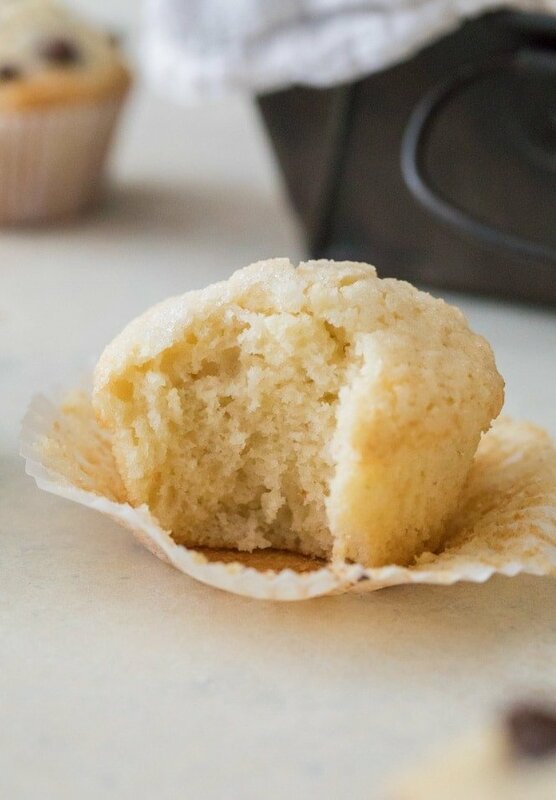 This is the perfect soft & fluffy starting point for bakery style muffins! 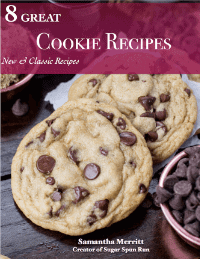 1 1/2 cups of your favorite add-ins: Chocolate chips, frozen fruit, nuts, etc. Combine the melted butter and canola oil in a large bowl and stir well. Add sugar and stir again to combine. Add egg, egg white, and vanilla extract. Mix thoroughly until all ingredients are well-combined, then stir in buttermilk. 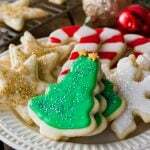 In a separate bowl, whisk together the flour, cornstarch, baking powder, and salt. Using a spatula, gently fold the dry ingredients into the wet, taking care not to over-mix. 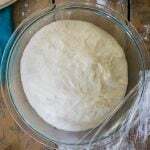 Once the dry ingredients have been about half-way stirred into the wet, stir in add-ins (if using) and continue to fold in to batter until just combined. Preheat oven to 425F (215C) and line a 12-count muffin tin with paper liners. Once oven has preheated, portion batter into prepared tin, filling each liner at least 3/4 of the way full. If desired, sprinkle tops generously with sugar and transfer muffin tin to preheated oven. Bake on 425F (215C) for 8 minutes and then, without opening the oven door, reduce the oven temperature to 350F (175C) and bake another 12 minutes, or until tops are just beginning to turn golden brown. 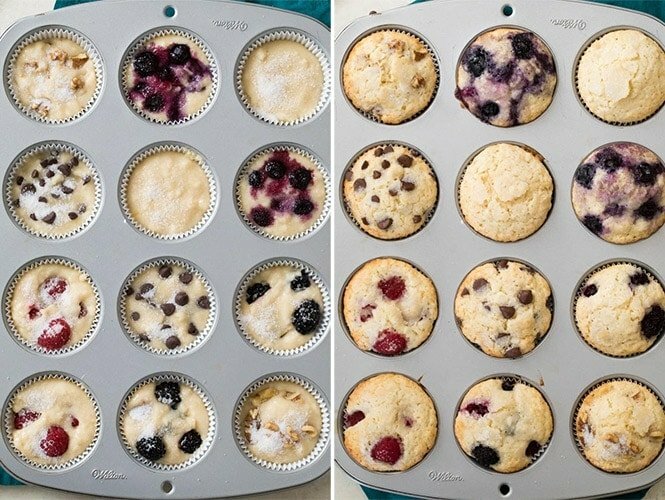 *This is optional, it helps give the muffin tops a higher rise but you can put them straight in the oven without waiting even 15 minutes and they'll still taste delicious. Ideally you would let the batter set at least one hour, but I found 15 minutes gives me a decent rise (the muffins in the photographs were allowed 15 minutes) while still not dragging out the process too much. I recently came across your site and I absolutely love it. I have tried a few of your recipes and they turned out wonderful. I enjoy the video’s and all the advice you give. 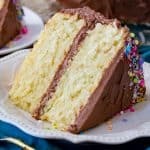 You are a joy to watch and your recipes are very doable! Thank you! 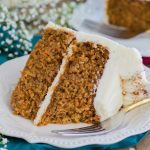 I have tried almost every recipe i have received from you and they all have been great!! Even made some with my 5 year grandson and he loves them too! 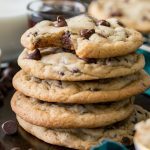 I came across your site when I was looking for a recipe several months back and decided to follow you. 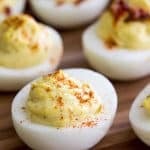 You are one of my favorite recipe blogs of all time. Thank you for bringing us things we can cook and are easy to put together. And still so yummy!